This entry was posted on April 28, 2015 by Goplasticpallets. 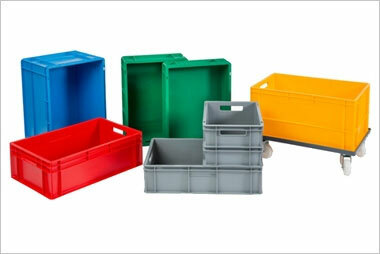 With soft fruit picking season about to begin in May, Goplasticboxes.com is promoting the benefits of its plastic fruit trays and growers’ crates, which have been specially designed to help keep fruit fresher for longer. Once picked, berries and other soft fruit can deteriorate very quickly unless they are handled with extreme care. This means ensuring that they are stored and transported in hygienic packaging that prevents the fruit getting damaged and provides sufficient ventilation. 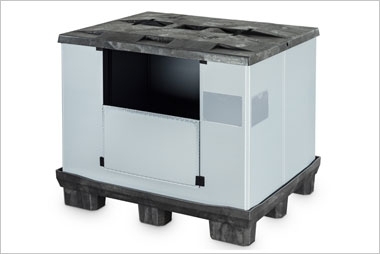 Where cardboard and solid wood or plastic crates prevent air from circulating, small ventilation holes in the sides and base of our fruit trays and growers’ crates allow positive airflow, keeping produce cool and preserving their condition for longer. This means that growers can rest assured that their fruit will remain in the best possible condition from the moment it is picked, punneted, and packaged off to the processing plant. 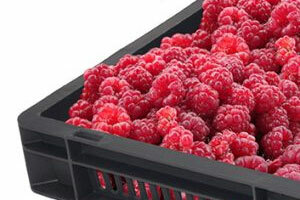 Berry growers love our GoBox 1230 raspberry tray, as measuring 600mm (L) x 400mm (W) x 80mm (H) and weighing just 1.03kgs means that growers can safely strap the tray around their waist and pick small fruits, such as raspberries and blackberries, directly into punnets loaded in the tray. 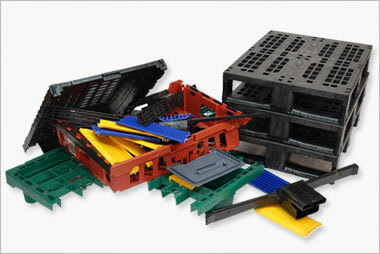 The raspberry trays can then be easily stacked and loaded into the trailer for delivery to the processing plant. The tray’s strong, durable base and straight-sided walls hold the punnets in place and prevent the berries from getting crushed under weight. Our GoBox 1230 raspberry tray has a storage capacity of 15 litres and is manufactured in dark grey polypropylene as standard, but is also available in other colours for large orders. Another popular product with fruit growers is our GoBox 5351 growers’ crate. Competitively priced, this bale arm crate is hugely versatile since the lever moves forward and back to allow positive stacking or nesting. 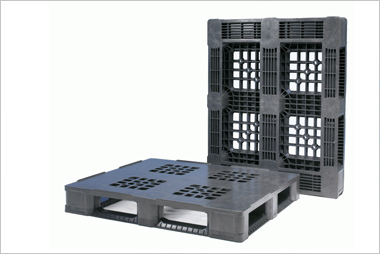 When nested the crate saves 76 per cent space, ensuring minimal wastage space in storage and on return journeys. Since fruit can be placed directly into the crate without being pre-bagged or paper-wrapped, growers can significantly reduce their packaging waste, making the GoBox 5351 growers’ crate an excellent choice on environmental grounds. 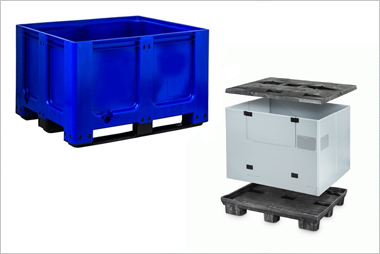 Measuring 600mm (L) x 400mm (W) x 199mm (H) and offering a storage capacity of 35 litres, this bale arm crate is available in dark blue or green as standard, and a choice of special colours for large orders. Both of these fantastic products, and many others, will be on show on our stand 43 at the industry’s premier fruit event, Fruit Focus, on 22nd July in East Malling, Kent. Call us today on 01323 744057 to arrange a product demonstration or email your enquiry to [email protected].